The new optoNCDT 1402SC sensor series from Bestech Australia, which is ideal for demanding environments such as the food and process manufacturing. With a stainless steel enclosure that provides class IP69K protection, the sensor is resistant to high-pressure jet cleaning, as well as aggressive detergents and disinfectants, such as hydrogen peroxide and other alkaline- or chlorine-based cleaning agents. 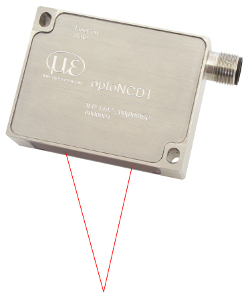 The sensors offer measuring ranges between 5mm and 600mm. Due to the particularly low power consumption of just 50mA, applications that involve wireless energy transmission to the sensor are possible. In this model, the housing is made from corrosion-resistant V4A steel, which meets all food industry requirements. The optoNCDT 1402 SC range achieves reliable measurement results – even when circumstances are even more demanding. During IP69K protection class testing conducted by Micro-Epsilon, the sensors were able to prove their resistance under extreme operating conditions. In addition to an eight-hour high-pressure jet test with hot water (85°C) and at a pressure of 80 to 100bar, this test also included an eight-hour dust resistance test. The electronics operate with a measuring frequency of 1.5kHz, reaching a linearity of 0.18% and a resolution of 0.01%. Crowdfunding: can it help your food & beverage business grow?